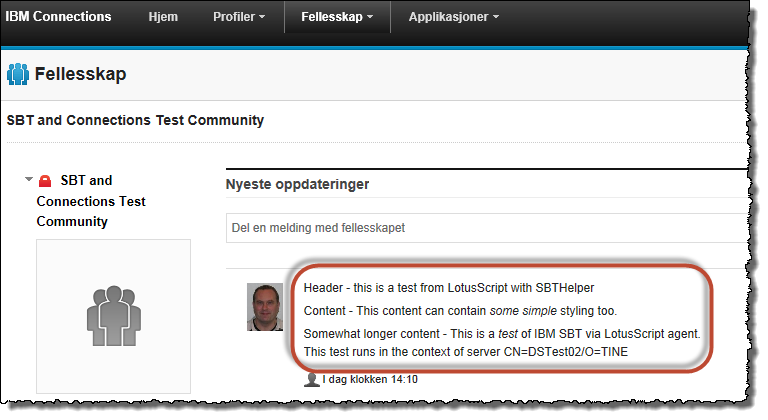 This part 3 of 3 in the article series “Classic Notes: How to communicate with IBM Connections from LotusScript wrapping IBM SBT with LS2J”. 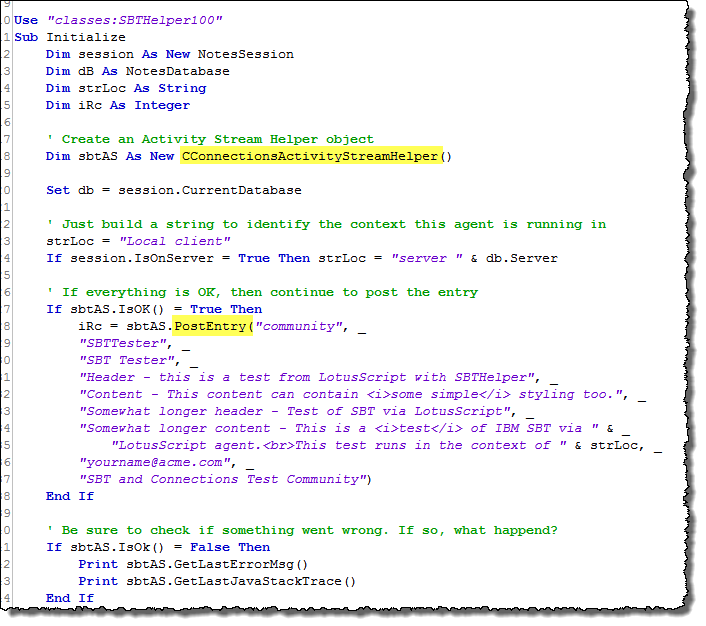 This part 2 of 3 in the article series “Classic Notes: How to communicate with IBM Connections from LotusScript wrapping IBM SBT with LS2J”. 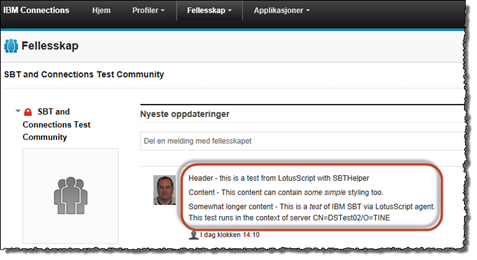 This part 1 of 3 in the article series “Classic Notes: How to communicate with IBM Connections from LotusScript wrapping IBM SBT with LS2J”. - Ooops, but I am mostly doing LotusScript, you say … what now? Perhaps you ask a question on StackOverflow to see if anybody has some advice for your scenario (just completely out of the sky – perhaps something similar to this question ). The chances are that you’d get a lot of advice abandoning your old and tired LotusScript in favor for the much more modern Java language. 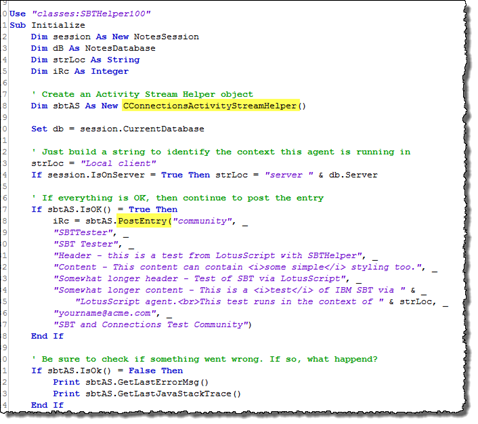 Your challenge is that you have a lot of LotusScript code that you would love to enhance with the new cool IBM SBT possibilities, and perhaps not the time to take the heavy plunge into learning a new language.